This is why I'm hot. - "So what's your strategy?" You are about to find out why, in fact, I am. 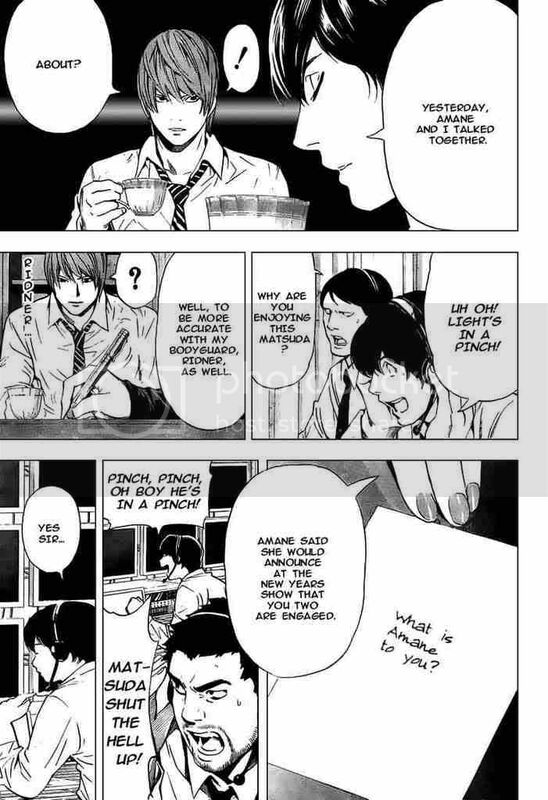 It's because I honestly have no idea who's playing in the Superbowl, arguably the largest sporting event in my country, but I've been counting down the days until Matt from Death Note's birthday today. TYPICAL. I am typical. And predictable, too, yes? You should see it trying to do percentages, good heavens. It was also very unfortunate that I chose to work on the thing over the weekend -- it worked out nicely... I think... 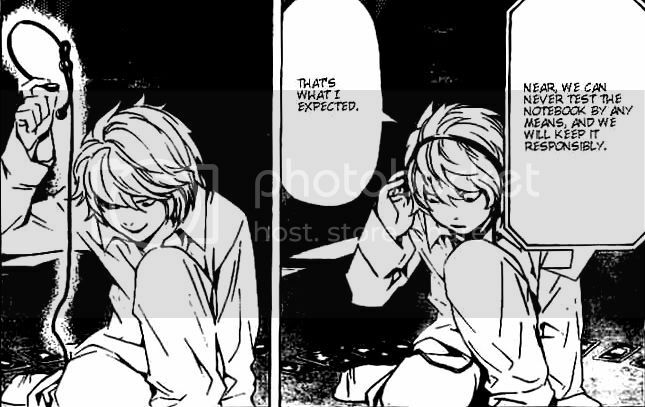 I haven't reread it yet..., but I needed to know how much Near and Mello knew at various points, which meant I had to go through a great deal of Book Something. Ten, probably. Really, though? I want to marry Matsuda and have his wildly eccentric, excitable babies. 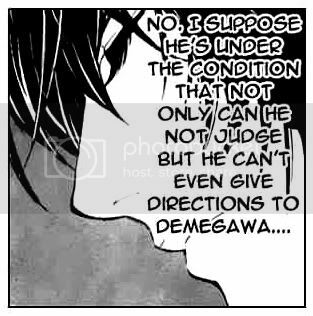 Maybe he and Light are distantly related. Ehh, what else in Fic Land... I'm almost done with richelle297's birthday present, just in time for it to be four and a half months late. \o/ I forgive me; it's twelve thousand words and utterly retarded. And really unexpected in a lot of places, I'd like to think. The bunnies had guns. It's not my fault, officer! ...pretty sure that's it as far as fic goes. Oh, I went to Safeway today and made some purchases: bread, yogurt, and candy. tierfal (5:02:32 PM): My goal for tonight. tierfal (5:02:49 PM): And then we could go ice-skating in hell!! And Miki & Matsu rule. "One by one, the penguins steal my sanity." I say they are in cahoots with the bunnies, smuggling the guns to them in boxes of, uhh, somethings. Hahaha, "Light... I am your BROTHER!" "NOOOOOOOO!!!!" DOES IT HAVE SUPERMAN IN IT? I like bread, yogurt, and candy! But I'm more of a Raley's girl than a Safeway girl. Ooh, a fanfic that isn't good with fractions? Never. Well... Of course, with nothing remotely capable of working if it requires electricity, satellite, cable, or internet connection here, I do believe I am in Hell. Then add the fact that my city is frozen over... Welcome to my world! And gosh, this lack of cyber-access means I'm behind on your fics yet again! OMG MIKAMI AND MELLO ARE RIDICULOUSLY HOT!!!! And Near is adorable.